I just found out Tyler and Teresa had their baby! A little baby girl weighing 7 pounds! I love all these new nieces in our family! Frazer is free and clear!!! I can't help but be giddy about my new niece! She comes home a week from today! Tatem is 10 months and as busy as ever. She has two modes. "Turbo On" or "Asleep Off". I got her in last week for her 6 month appointment (don't judge me, we were out of town for 3 months!) and at 10 months she weighs 17.5 pounds and is 26 inches long. She's still just a little thing, giving more reason for Aunt Lindsay to lovingly nickname her TROLL. Crawling under EVERYTHING and getting all up in everyones business (and looking so darn cute) were the first reasons Lindz gave her that name, but now she is walking, and is attempting running on a rare occasion (with little success). She has mastered the stairs, up and down, and when she hears me coming to check on her, she gets all wild and crazy and kicks it into turbo drive. She jibber jabbers in all octives but with only one word, "dat dat dat". And as of these last two Sundays there has been no shortage of gusto as she attempts to sing the hymns, both times, sitting with Aunt Marci. I love her scrunched up face when she fake laughs at me. I love to watch how she picks up the food off her try with her chubby little fingers. I love how she rubs her face with her blanket while she drinks her bottle. If we are playing patta-cake and I stop, I love how she picks up my hands and makes them clap. She is so independent, and so determined, and so not cuddly! I love my little girl and I hate that she is growing up. I didn't think I would be, but I am one of those moms' who laments every stage that has come and gone. We got to hang out with Ian for one week before heading to Utah for the rest of the month. It was great to be back together as a family. 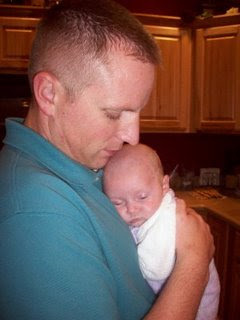 Tatem loves her Daddy! Ian really is THE BEST! Tatem and I made it home safely from our 3 month sabbatical to Indiana where we were able to welcome a new niece into the family. My sister Lindsay's little BRYNLEE is such a sweet little blessing with a little miracle entrance into this world. She is healthy, happy, and thriving. Last I heard, she is on the heavy side of 6 pounds! 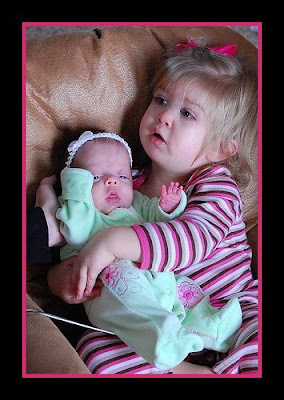 Hannah and Brynlee make the cutest sisters around! (and I miss the crap out of both of them! Literally. I miss being there to change their diapers...and to sing n' play n' watch Elmo n' stuff.) Tatem and I can't be bothered to stay home for very long so we decided to go away for another month. We chose a different state this time, but for the same reason. We are going to Utah to welcome another new niece into the family and we couldn't be more thrilled! 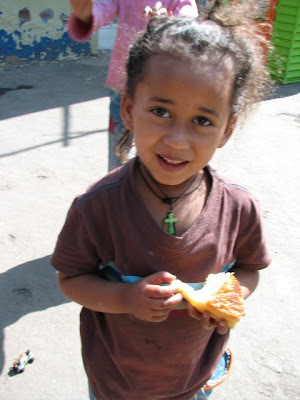 My sister-in-law, Sage, is traveling to Africa tomorrow morning to pick up their new 4 year old daughter, FRAZER. Tatem and I will stay in Utah for the month of Feb to hang out with 4 anxious older brothers, and 1 little princess whose world is about to be rocked with a new sister! My excitement for them is beyond words right now. Alz I know is a whole bunch of FAITH and TRUST exhibited by my sister-in-law and brother-in-law has allowed Frazer to become part of their family. Thank you Steve and Sage. I already love her!!!! But, before we start our venture in Utah, this weekend we will be spent in Chubbuck Idaho to celebrate the birth, and attend the blessing, of yet another new niece! My brother Adam and his wife, Jenny, just welcomed little baby ALYVIA to their family. We are excited to see their new addition to the family. 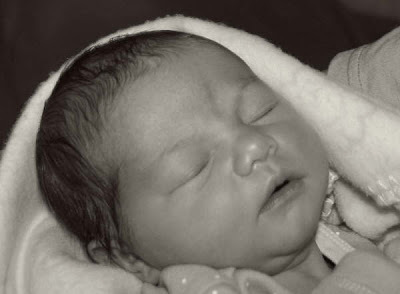 And just when you thought we couldn't get enough of new baby girls around here...THERE IS STILL MORE ON THE WAY. My brother-in-law and his wife, Tyler and Teresa, are expecting the arrival of their little baby girl ANY DAY! I have no doubt they will be great parents to this little angel! I tell you what, Tatem is LOVING all these little girl cousins who are all coming down to play! Ok, actually, she might be a little oblivious right now, but I'm telling ya, in years to come, she's going to love it! Ian's brother, Tyler - ask me again tomorrow, she just might be here by then! 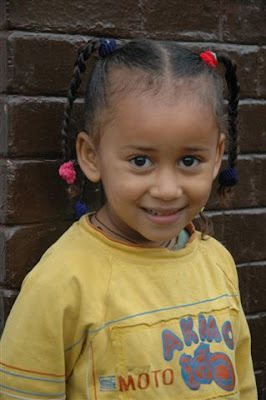 Natalie's sister, Whitney - praying for the miracle of adoption to be part of their family story. I know, I know. Rabbits, I tell ya! Rabbits!